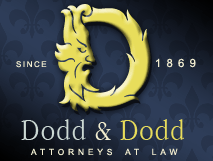 Since 1869, Dodd & Dodd Attorneys PLLC has offered skilled legal representation to individuals, families and businesses throughout Louisville, Kentucky, and Indiana. We have continued to build our practice to support the needs of our clients. Whether you are facing divorce or need strategic advocacy to handle a business contract or dispute, our firm offers both personalized representation and a commitment to client service. Knowledgeable Legal Representation in Kentucky A tradition of personalized service: Since the founding of our firm, we have remained committed to providing our clients with personalized service and tailored legal representation designed to suit the needs of our individual clients. 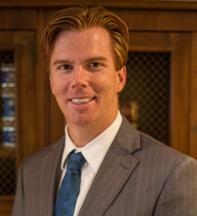 Solid reputation and a record of results: Combining the skills, reputation and record of results of our attorneys, we provide service and advocacy you can trust to handle your case. Full-service firm to address your needs: We handle a broad range of civil matters including divorce and family law, business law, tax law, civil litigation, probate and estate planning. Strategic, Aggressive Advocates Focused on Your Rights Whether you are interested in contract negotiation or need an experienced bankruptcy or trial attorney, we will take a creative approach to provide you with the unique solution your case demands. Our Jefferson County lawyers know that our clients come to us with different expectations and we tailor our services to meet the needs of our clients. From your initial consultation through the final resolution of your case, our attorneys will remain committed to your rights and interests. amily legal disputes can involve your rights related to children, your financial security after a divorce, or your rights involving a domestic dispute. At Dodd & Dodd Attorneys PLLC, we provide comprehensive legal services to individuals and families involved in family legal disputes. We are skilled at every stage of the family law legal process and are prepared to take your case from negotiations through settlement, or all the way to trial if necessary to protect your rights. Our Family Law Attorneys Have Extensive Experience in Many Areas of Law Divorce: We are experienced in all aspects of divorce including alimony or spousal maintenance, military divorce, support and custody modifications, and complex business valuation and litigation involving the division of assets. Child support, visitation and custody: Our attorneys are experienced in family law matters involving children, including child support, visitation, paternity, and custody. Grandparents' rights: We represent parents and grandparents in custody disputes involving grandparents' rights. As grandparents, you may have rights to parenting time, visitation, custody and support. Domestic partnerships: Our firm offers extensive experience to couples in domestic partnerships facing legal disputes involving division of property and assets, real estate, probate, custody, parenting time, last will and testament, and health care surrogacy. Adoption: When involved in the adoption process, it is important to understand your rights and obligations if you are giving up a child for adoption or you have made the decision to adopt. Contact us for a consultation to discuss your legal rights and options involving adoption. Domestic violence: Our attorneys offer support and advocacy to individuals facing charges of domestic violence and those seeking protection orders. We take strategic action to protect your rights and the security of your family. Prenuptial agreements: Prenuptial agreements are an important tool for couples to protect their interests, especially those coming into a marriage with significant assets. We can assist you in drafting or modifying a prenuptial agreement before marriage to protect your rights and your assets. Concentration on complex family law cases involving: custody; high asset divorce cases; maintenance; prenuptial agreements; child support and tax issues. Tax audits and estate and income tax planning for individuals, estates, trusts and foundations of multimillion dollar clients. General civil litigation.